The University Centre of Excellence “Mountain University” is an innovative training and research centre, specializing in the study and analysis of issues regarding mountain areas, and was founded on the basis of a framework agreement between the Italian Ministry of Education, University and Research (MIUR) and Milan University. The Mountain University, thanks to the provision of courses aimed at producing experts with specific competences on mountain issues and a considerable amount of research activity, intends to promote the conservation and sustainable development of mountain areas concentrating in particular on the prevention of hydrogeological instability, the safeguarding of water resources, the conservation of socio-cultural and biological diversity, the production of characteristic and high-quality local products and the preservation of landscapes attractive for the development of sustainable tourism. 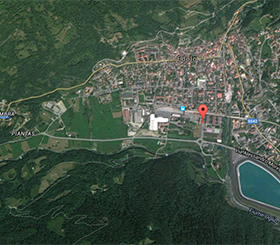 The Mountain University is located in the heart of the Alps, in Edolo, in the Vallecamonica, Brescia province, Italy. The Milan University degree course in “Conservation and Sustainable Development of Mountain areas” was established 15 years ago and over time has gained the consensus and collaboration of the most important organizations and institutions competent in mountain issues. 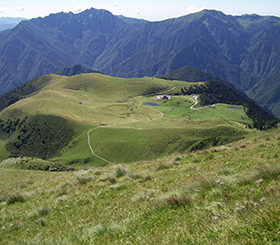 The Milan University “Centre of Applied Studies for the Sustainable Management and Protection of Mountain Areas (GeSDiMont)” is also based in Edolo and coordinates and develops basic and applied scientific research regarding mountain areas in general. UNIMONT is the portal through which the Mountain University communicates its activities and its initiatives, a point of reference for all those who want to approach mountain issues in a technical and scientific way and an interactive tool for those who wish to actively contribute to the sustainable development of mountain areas. Unimont also relies on the support of its visitors: contribute by reporting activities of strategic interest for the promotion and enhancement of mountain areas, using the appropriate forms in the dedicated section. The University Centre of Excellence “Mountain University” aims to experiment and promote methodological and operational innovation specifically suitable for the distinctive features, complexity and requirements of mountain areas, through the activation of a highly qualified and diversified training provision together with valuable research activities. The Mountain University is the result of the first academic partnership in Italy for development in the mountain, and is the national point of reference for the analysis and study of all the complex issues that affect mountain areas. The Mountain University involves several universities which study specific aspects of mountain regions. Milan University has a lead role, together with the Universities of Florence, Padua and Turin. The centre works in close collaboration with European and international institutions active in the same sector, establishing stable relationships of cooperation. Due to its high level of specialization, the Mountain University is a privileged interlocutor for national and European Organizations responsible for identifying and defining the actions required for the development and enhancement of the entire Alpine area. As a focal point in Italy for mountain themes, the centre is pro-active in intercepting and conveying European funds, developing important and complex research projects. The Mountain University is also committed to creating a Network among the various stakeholders present and active in mountain areas, promoting the exchange of knowledge, tools and experience, and supporting its development in order to create a strategic and sustainable management strategy for mountain areas.